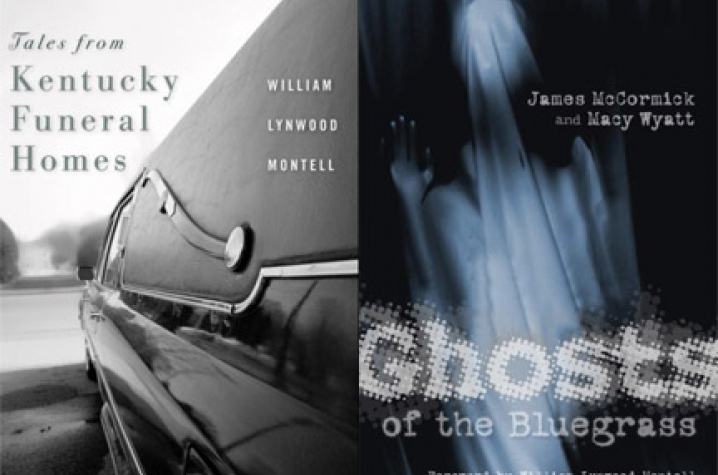 LEXINGTON, Ky. (Oct. 26, 2009) - As Halloween draws closer, University Press of Kentucky hopes to haunt readers with two new spooky offerings, "Tales from Kentucky Funeral Homes" and "Ghosts of the Bluegrass." Folklorist and oral historian William Lynwood Montell explores the business of death in his latest work, "Tales from Kentucky Funeral Homes." The book reveals an insider’s perspective of the funeral business, compiling anecdotes and recollections from funeral home directors and embalmers with lifetimes of experience serving families throughout the Commonwealth. From long-winded preachers and fainting relatives to snake-handling funerals and pallbearers who fall into graves, these tales offer a firsthand record of the history and culture of death in Kentucky. By combining personal accounts with descriptions of local traditions, the book surveys the many ways in which funeral directors and embalmers have played pivotal and indispensable roles in Kentucky communities. Handed down to Montell in the oral tradition, these stories are relayed nearly verbatim, maintaining the language used by the funeral directors and embalmers to vividly illustrate the emotion and style with which the stories were told. Personal experiences, humorous anecdotes, and local legends collected from all corners of the state make the collection a fascinating panorama of the Commonwealth's funeral homes and the communities they serve. While many people are unfamiliar with the funeral home business, almost everyone has come in contact with ghost stories, literary pieces designed to send chills down the spine and elicit questions about what exists after death. Through numerous first-hand accounts of the supernatural and passed-down tales of lore, James McCormick and Macy Wyatt’s new book, "Ghosts of the Bluegrass," offers a glimpse of the mysterious, interesting, and often terrifying side of Central Kentucky that is certain to force many readers to keep a light on at night. McCormick and Wyatt, who taught a course on interviewing techniques at Georgetown College, used ghost and death lore as the vehicle for teaching these skills. Twenty-three students enrolled in their course were given the instruction to go into communities of Central Kentucky and collect ghost stories, which were then compiled into this book. From terrifying to humorous, the engaging tales not only present inexplicable ghost stories but also relate the history of a region and the colorful people who call Kentucky home. Many of the accounts documented are regional, while other seemingly universal stories such as the “vanishing hitchhiker” or “headless ghost” are presented with their own Kentucky variations. One even focuses on the University of Kentucky's Adolph Rupp and William Funkhouser. Surveying Kentucky ghost stories both past and present, "Ghosts of the Bluegrass" discusses haunted places, poltergeists, communication with the dead, and ghosts who linger to complete unfinished business. This compilation is essential reading for anyone fascinated with the unexplainable, and will most certainly act as a perfect spine-tingling accompaniment for the Halloween season. Kentucky readers also have an opportunity to catch the books' authors at a number of events this week. 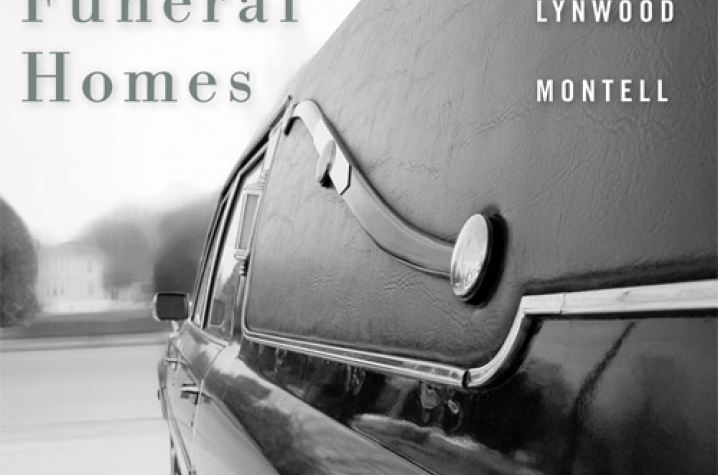 William Lynwood Montell will sign "Tales from Kentucky Funeral Homes" at 6:30 p.m. Monday, Oct. 26, at Paul Sawyier Public Library, in Frankfort, Ky., and 7 p.m. Thursday, Oct. 29, at Kentucky Live! Barnes and Noble Booksellers, in Bowling Green. 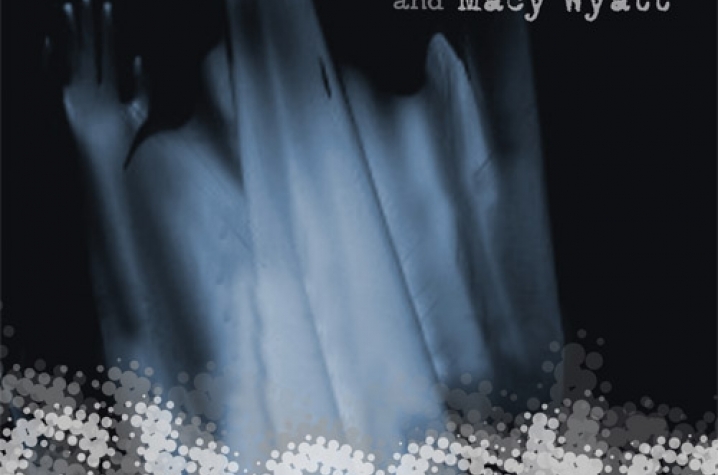 James McCormick and Macy Wyatt will also do two book signings for "Ghosts of the Bluegrass" this week, including one at UK scheduled for 6 p.m. Tuesday, Oct. 27, at the University of Kentucky Bookstore. The authors' other signing will be 7 p.m. Wednesday, Oct. 28, at Joseph-Beth Booksellers, in Lexington. For more information or to purchase "Tales from Kentucky Funeral Homes" or "Ghosts of the Bluegrass," visit www.kentuckypress.com.